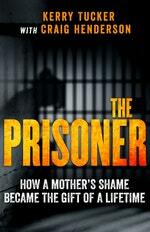 Kerry Tucker’s traumatic first night behind bars. Have you ever wondered what it would be like to go to prison? To be stripped of your possessions, freedom and privacy is something that most people will never have to experience. 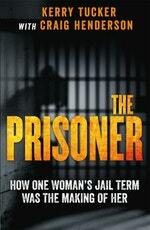 In this passage from her memoir The Prisoner, Kerry looks back on her anxiety-filled first night in prison following her 2004 arrest for theft and financial fraud. I was passed over to two female officers with about as much ceremony as a dog-catcher drops a stray at a shelter. The women were wearing blue rubber gloves and I doubted they were fixing to do the washing up. I was ordered to step into a holding cell. ‘Take your clothes off and hand them to us,’ the older officer directed. ‘What? All of them?’ My head was spinning. I had no idea whether they were even legally allowed to force me to undress or how far they could go. When the police had come for me I’d been dressed in a matching black Nike top and skirt with runners. Now I stood naked in the middle of the freezing cell while the officers suspiciously picked through my garments looking in vain for drugs or weapons. I thought about how much I had already lost and how much I was continuing to forfeit. And how it was all my fault. I had jettisoned trust and with it friends, my job, my reputation, my liberty, my children, my dignity and now I was being stripped of my sovereign womanhood by two blue-fingered agents of the state. Could it get any worse? Suddenly I became consumed with dread that an internal search was next on the agenda. I was relieved they didn’t do an internal search but I needn’t have worried – I later found out it was illegal for the police, Corrections Officers or anyone else to do a physical internal examination of prisoners in Australia. I would also learn what a handy loophole this creates for women to exploit. Next the officers told me to grab three vinyl cushions and two blankets from a nearby stack and follow them to a ‘lock-down’ cell. The cushions were just under a metre long and I was instructed to put them on top of a raised concrete slab on one side of the cell – my bed for the night. The blankets were typical army issue, as thick as a Kleenex, itchy to the touch and infused with a dampish aroma that was somewhere between vomit and three-day-old rubbish. There was no pillow. The cell was a tired-looking iron and concrete box with a stainless steel toilet (with no lid), a wash basin, the concrete slab and a seat. The most menacing piece of decor, however, was the security camera mounted in a corner of the ceiling. If I needed to go to the toilet it would be in full view of whichever officers were watching. As luck would have it, I was menstruating. Outside of being raped I could think of nothing more degrading or intrusive than having to go to the toilet in full view of a crowd of strangers that included men. I fought the urge until my stomach hurt, my bladder stung and blood trickled down my legs. I had to ask an officer for toilet paper and sanitary pads and then sit on the toilet in front of them while I mopped up. It was the most dehumanising, unnatural act I had ever been asked – nay, ordered – to perform.